Erica Johnson loves making people laugh, whether it's with improv, stand-up comedy, sketch comedy, or a felt portrait of Kanye West. 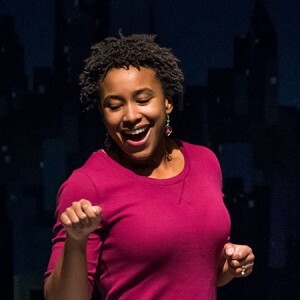 Erica first came to WIT in 2011 for a sketch writing class and slowly caught the improv bug. She’s also studied acting and improv at New York’s American Academy of Dramatic Arts. Erica also sneaks in jokes as a host and question writer for Charm City Trivia. Did you know that she can deadlift 255 pounds?